Illegal drone intrusions into UK airport airspace have soared by 34.4% in 2018, according to a report by an air safety body. Published by the UK Airprox Board (UKAB) the report reveals there were 125 dangerous encounters between aircraft and drones recorded in 2018, compared to 93 and 71 in 2017 and 2016 respectively. Nearly a third – 39 – took place at London Heathrow, the UK’s largest and busiest airport, while 10 occurred at Manchester Airport. Rob Hunter, head of flight safety at the British Airline Pilots’ Association (BALPA), told the Financial Times that the actual number of drone sightings at UK airports could be even higher than the 125 recorded incidents. “We have invested significantly over the years to enhance our capabilities to detect and deter drones at the airport,” he said. “A drone coming into contact with an airliner or helicopter could prove disastrous. Flights at Dublin Airport were suspended by air traffic control for 30 minutes on Thursday 21 February following a drone sighting, by a pilot, over the airport. In the run-up to Christmas aircraft at Gatwick were grounded for over three days amid multiple drone sightings, with 1,000 flights cancelled and 140,000 passengers affected. That case remains unresolved with the culprits still not identified. Together the incident cost Sussex Police and Surrey Police £459,000 in policing costs. In January, Heathrow temporarily halted departing flights after a drone was spotted flying near the airfield. Alarmed at the worsening trend the government enacted a law that expanded drone exclusion zones around airports to a maximum of 5km, up significantly from 1km. Drone operators must obtain a permit before flying drones within the restricted area with violations potentially carrying a prison sentence of up to five years. Simon Barnes, business development manager for airports EMEA at Genetec, said that “news that drone threats to aircraft are increasing should come as no surprise. The high-profile incidents at Heathrow and Gatwick over Christmas, and February’s drone-related suspension of flights at Dublin airport are just the tip of the iceberg. “As drones become increasingly ubiquitous – both from hobbyists and their growing use in professional arenas – we can expect to see many more incidents. In response to the Dublin Airport incident Barnes urged airports to respond to the problem holistically. 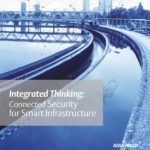 “We know from speaking to airports across the world that two of the most pressing challenges they face is how they secure their perimeters – as intruders become increasingly sophisticated – and identifying ‘friend from foe’ as operational needs must be maintained. “When it specifically comes to drone detection, the short-term temptation can be to introduce a dedicated new technology to address this specific threat. However, the last thing a functioning airport needs is an independent system that isn’t unified with all of the other security measures in place such as PIDs, security cameras and access control. Cesar Cerrudo, CTO at cybersecurity company IOActive, believes the consequences of the “commercialisation of drones” have “not been thought through.” Military drones are “rigorously tested and built with security in mind. “Manufacturers of [commercial] devices are more concerned with getting their product to market than ensuring cybersecurity. “In the future, we could see drones move from merely being a disruption to being weaponised. As drones improves in range – distance that they can travel – and functionality, and reduce in cost, their weaponisation could become common as poor cybersecurity could allow commercial drones to be hijacked by attackers. Genetec is exhibiting at IFSEC International 2019, taking place 18-20 June 2019 at ExCeL London (stand IF710). Book your free ticket now. 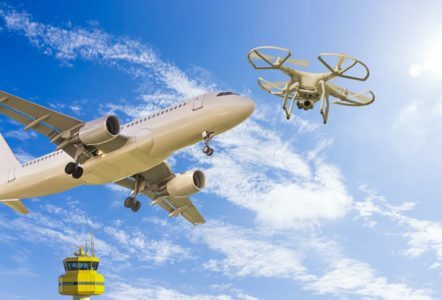 Dangerous drone encounters at UK airports jump by more than a third Published by the UK Airprox Board (UKAB) the report reveals there were 125 dangerous encounters between aircraft and drones recorded in 2018, compared to 93 and 71 in 2017 and 2016 respectively.